It’s early days for wearables in healthcare, but there’s a lot of potential. In the near future, an Apple Watch or Android Wear could detect if the wearer is experiencing Atrial Fibrillation. A preliminary algorithm (app) to detect A-Fib has been developed by researchers at UCSF and engineers at Cardiogram, Inc. The researchers need your help now. If you have an Apple Watch or Android Wear—regardless of whether you have A-Fib—you can contribute your data to help make the algorithm more accurate. 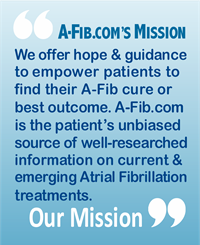 The mRhythm Study is being run with the UCSF Health eHeart Study, using Cardiogram to train a deep learning algorithm to detect atrial fibrillation. 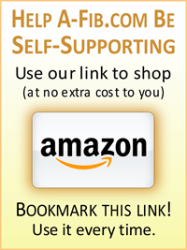 To Participate in the Study: Visit the mRhythm Study website and scroll down the page and look for ‘We Need Your Help.’ At the bottom of the page, you can then read answers to ‘Frequently Asked Questions’. See How the System Works: To see the graphic displays of how the system works, go to Cardiogram, Inc. or see the Apple Watch graphics in particular. What atrial fibrillation and normal heart rhythm look like when measured on a watch. 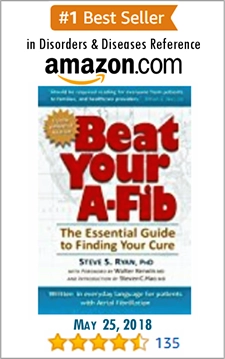 Each year, more than 100,000 strokes are caused by A-Fib. 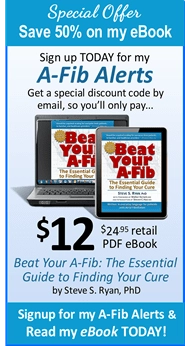 But all too often, their A-Fib is “silent” with no obvious or noticeable symptoms. 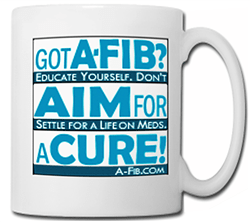 In these cases, their A-Fib is undiagnosed until they have a stroke. Only then do they find out they have A-Fib (…if they survive). About 50% will have a disabling stroke. Apple Watch owners—regardless of whether you have A-Fib—you can contribute your data to help develop this app. If the Smart Watch algorithm app works as intended, anyone with an Apple Watch or Android Wear will be alerted if they are experiencing Atrial Fibrillation. 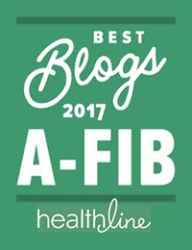 For the undiagnosed, their A-Fib will be ‘visible’ and no longer be “silent.” They will know if they are at risk of an A-Fib stroke and can get the proper preventive treatment. Today patients rely on an ECG in a doctor’s office or the use of a Holter monitor to detect A-Fib. Instead, a Smart Watch with the A-Fib app can extend a patient’s monitoring period to a year (between doctor’s visits) or on an on-going basis. Amazing! Think of all the lives saved and debilitating strokes avoided! The A-Fib Smart Watch app has the potential to revolutionize the field of A-Fib monitoring.